Paul A. Frewen, PhD, C.Psych: Assistant Professor, Department of Psychiatry and Psychology, University of Western Ontario; Chair, Traumatic Stress Section, Canadian Psychological Association. 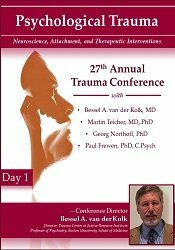 Author of 35 papers on trauma, affect regulation, mindfulness, dissociation, and the self. 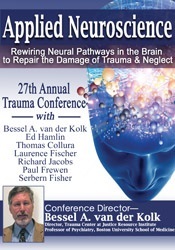 Co-author (with Ruth Lanius), Healing the Traumatized Self: Consciousness, Neuroscience, Treatment.